Mayoral presents the exhibition "Dau al Brossa" curated by Gloria Bordons, the director of the Brossa Foundation and with the collaboration of the Foundation of the artist, with the complicity of Arnau Puig, philosopher and art critic Dau al Set group and the last witness of the artistic movement, and with the help of other specialists. 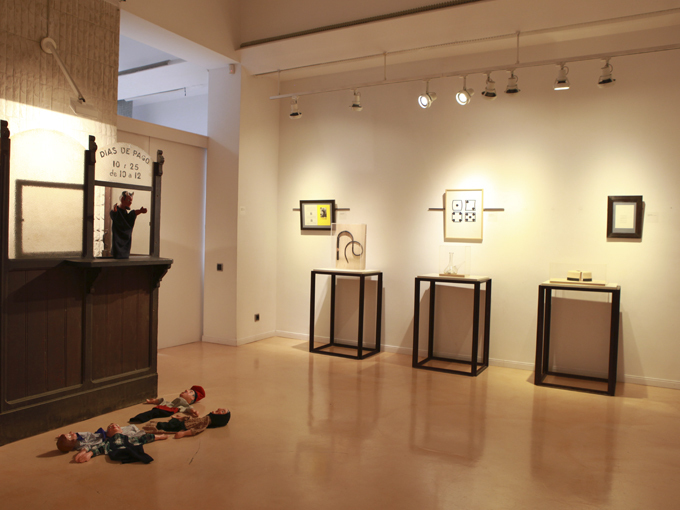 The exhibition includes a careful selection of Dau al Set poems and stage projects, pieces of Joan Brossa influenced by this decisive stage in its production, among which there are poems object and visual poems as Porró amb Daus (Porrón with dice) i Contra l’atzar (Contra chance). 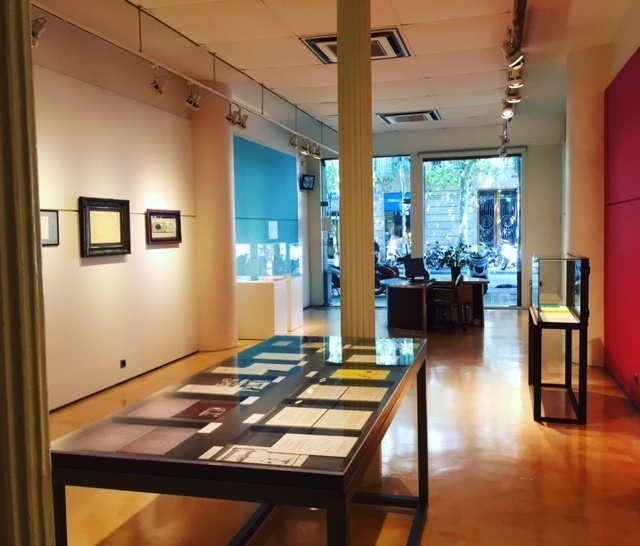 The exhibition includes a selection of works by other renowned artists such as Miró, Tàpies, Ponç i Cuixart, who had a very close, personal and professional relationship, with the artist throughout his life. In this selection of works include engravings of Ponç and a piece of unpublished Cuixart, accompanied by texts by Joan Brossa. The relationship between artists is complemented by correspondence and joint projects undertaken by the magazine Dau al Set. 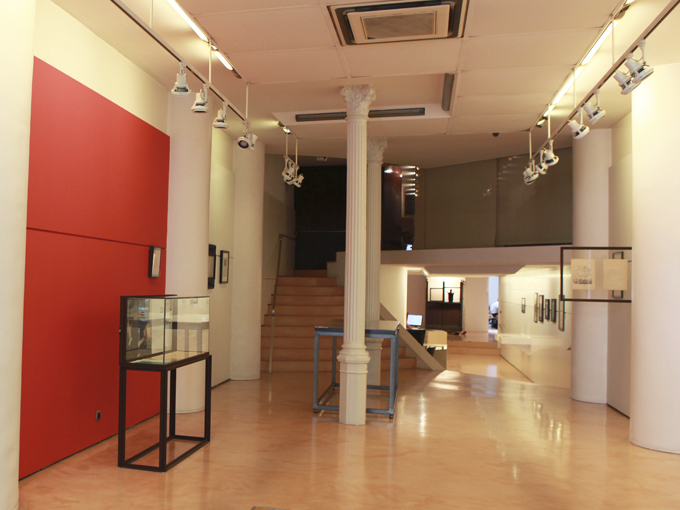 As part of the exhibition's film Joan Brossa and Frederic Amat "Foc al càntir" projects, whose script was written in 1948 at the height of Dau al Set, within the context of the Loop Festival and educational activities will be conducted in addition to participate in one of the itineraries Joan Brossa Foundation program on 11 June. All documentation is included in the online catalog produced for the exhibition. “Dau al Brossa highlights the importance of the Catalan poet Joan Brossa in the genesis and development of Dau al Set, both through his collaborations in the magazine and through the dialogues he established between the works of the group’s three painters and those of Joan Miró, the master of them all. The show is rounded off with a conversation within Brossa’s own poetic output: the spirit and the poems of the Dau al Set period dialogue with the works he created during the 1980s, weaving a thread always present in the poet’s production.”- says, Glòria Bordons (curator of the exhibition and director of the Fundació Brossa). In the international arena we emphasize the presence of Brossa in the Biennales of Sao Paulo (1994) and Venice (1997) and solo exhibitions in Munic (1988), New York (1989), Ceret-Cotlliure (1990), Houston (1990), London (1992), Marseille (1993), Malmo (1993), Kassel (1998) or Mexico and Monterrey (1998). After his death, the great 2001 retrospective was held at the Fundació Joan Miró in Barcelona which gave his final consecration. Since 2005 and until today his other anthological exhibitions have traveled different cities of Chile, Brazil, Argentina, Portugal, Austria, Czech Republic, Sweden, France, Germany and Poland. Since 1988 it was when the Mosel und Tschechow Gallery from Munic began to acquire his works, and in 1990 when Brossa created a facility for the Museum of Modern Art in Ceret, other art centers around the world have expressed interest in having Brossa's work. Among the most important are the Scottish National Gallery of Modern Art in Edinburgh and MoMA in New York.